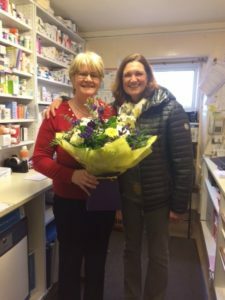 Well known face at the Brodick Pharmacy, Ruth Parker, has hung up her white coat for the last time this week as she retires after nearly 10 years as the Brodick pharmacist. A well respected and dependable character, Ruth has fostered professional relationships with other medical professionals and institutions on the island and through various changes and modernising of processes in the industry, she has ensured that the people of Arran have enjoyed a consistent and people focused service. Frequently going over and above what is expected, Ruth’s colleagues are quick to offer their praise, giving various examples of her commitment to serving others by staying open later to accommodate urgent requests, prioritising medical needs, providing useful and sometimes life-saving advice and being a valuable resource of information and knowledge, not to mention being hands-on in the day-to-day operations of the pharmacy. 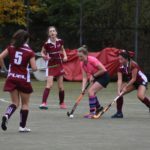 Most notably though, Ruth is known for her sense of compassion and willingness to help others when dealing with related healthcare organisations, groups and hospitals. Despite obstacles and time consuming frustrations in dealing with what can sometimes be unintended bureaucracy and difficulties in the rigidly structured medical field, Ruth has persevered, and with a smile on her face, ensured that customers’ needs are taken care of first without them being burdened by the convoluted process in reaching the result. 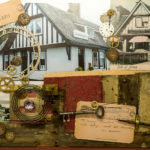 Having arrived on Arran at the age of seven from Leicester and having spent most of her schooling on Arran, Ruth is familiar with many people on Arran and knows many of her customers on a first-name basis. A benefit that has stood her in good stead, not only in being approachable and familiar, but also in knowing historical detail that is invaluable in the medical field. 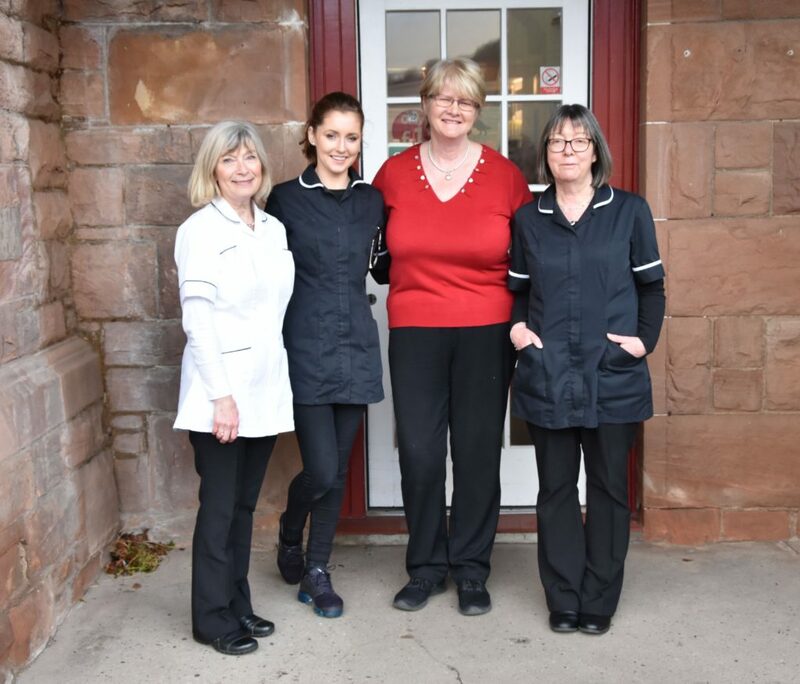 Doctor Elizabeth Guthrie of the Arran Medical Group (AMG) said: ‘ We at AMG, along with the rest of the Brodick community are feeling very mixed emotions about Ruth retiring from the Brodick Pharmacy. Whilst delighted she is leaving to enjoy a new chapter in her life we are all selfishly wondering how we will manage without her ? ‘Ruth is the very epitome of a true Community Pharmacist : she doesn’t have customers she has real people with real problems that she goes above and beyond to help . 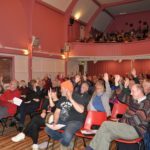 With our increasingly elderly population and increasingly confusing prescribed medicines she quickly recognises when some are not taking their meds as prescribed and steps in ,literally, to help. Not many community pharmacists give the individual personal attention that Ruth does on a daily basis as part of her normal day. There are many who have benefited from her home visits to sort out repeat or new medicines and get invaluable help on using dosettes or other medicine management tools to keep them taking their drugs safely and correctly. ‘Holiday makers more often than not seem to arrive without their medicines or else just need some health advice and Ruth is usually their first port of call. She will dispense her sound advice and good common sense to help them enjoy their holiday and help organise their medication. Ruth will use her experience and excellent local knowledge to sign post others to AMG or the hospital. While smiling discreetly, as is her character, Ruth scoffs at the idea of retirement, preferring to call it focussing on her other interests, as she aims to enjoy spending more time with her family and possibly being more involved in Red Door, the boutique gift shop she started with her sister, Stacy Smith, over 13 years ago. ‘The part that Ruth has played on Arran has helped doctors, nurses and carers to provide a cohesive medical service and there are few people on Arran who have not reaped the benefits of Ruth’s knowledge, experience, hard work and compassion. Doctor Elizabeth Guthrie presents Ruth Parker with a bouquet and voucher on behalf of Arran Medical Group on her last day on Tuesday.